Good security is essential not just for insurance purposes but for peice of mind and minimizing unnecessary downtime. Vandalism & theft alone can cause your business to lose more money in non-productivity than the actual cost of any equipment lost. With this in mind and to help reduce insurance costs, your business or organisation needs the best in integrated Intruder alarms, CCTV systems & access control. Choosing the right security for you. There are many ways to secure your home or busiiness. Crime prevention will alwyas be prefered to crime detection - catching the people on CCTV is one thing, but if they have already made off with all your stock and damaged the building whilst getting in - then this is not exactly the ideal solution. We offer a free Risk Assessment and system design service to determine exactly which intruder alarm system suits your needs. Combined with a CCTV system and more secure locks / access control systems this can be a deterrent in itself. 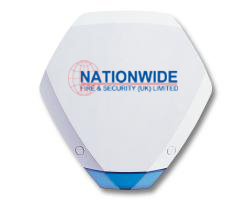 We ensure that any intruder alarm box is set in a prominent place so that any would be burglar sees that your home or business is protected. Specialist shock sensors can be installed on windows and doors. The sensitivity of such detectors is variable giving the installer the ability to avoid false alarms by changing the levels to suit the location. If someone attempts to force a door or window these sensors trigger the Intruder alarm system - meaning the intruder is detected before entering your building. We are one of the leading CCTV Installation companies in Birmingham and the surrounding area. Get in touch for a free no obligation quote today. Professional installation of an intruder alarm system to comply with PD6662 grade2. Offers comply with all British standards, regulations and insurance requirements, Service support 24/7 365 days and include parts and labour .